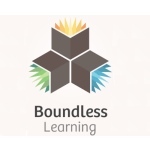 Boundless Learning can boast a bunch of features that make it sound like an incredibly promising education startup: it's focused on open educational resources. It's rethinking the textbook. It's student-focused. It's got a great set of advisors, including folks from Creative Commons, Connexions, MIT, and O'Reilly Media (disclosure: I also freelance for O'Reilly Media). But the startup's been hit with a lawsuit from Pearson, Cengage, and Macmillan, accusing it of copyright infringement. While Boundless Learning says that it's working with OER content and the OER community to create a free learning platform, the publishers contend that the startup "steals the creative expression of others, willfully and blatantly violating the Plaintiffs’ intellectual property rights in several of their highest profile, signature textbooks."